The Bittermeads Mystery gets off to a lively start with protagonist Robert Dunn eluding pursuit after a donnybrook (or should I say a Dunnybrook?) with a man he was following through a wood. Dunn continues his nocturnal activities by sloping along to Bittermeads, the titular house, where he finds a burglary in progress. Seizing the day, or rather the night, Dunn knocks the burglar out and after exchanging clothing with the unconscious man (subsequently concealed on the village common opposite the house) he enters the dwelling hoping to be discovered. The only people at home are Ella and her ailing mother and after tying Ella up and promising not to disturb her mother, Dunn explores the house � only to find the murdered Charley in a packing case in an attic. Ella’s stepfather, Deede Dawson, returns home and nabs Dunn but decides to employ him as chauffeur and gardener � not an action one would expect of an honest man. Dunn’s first task is to finish nailing down the lid of the packing case without revealing he knows what is in it. But then Ella takes the packing case away in a car, thus removing the only evidence he can produce to launch a police investigation. Then there is another murder as the plot thickens up in satisfactory fashion. My verdict: The two matters Dunn is investigating have no immediate apparent link but ultimately are shown to be intertwined. Although the close reader may well deduce a certain hidden identity and the name of the person masterminding the mayhem, it will likely not be until fairly late in the book. The action gallops along and we have an unusual look at the romantic agony of a male protagonist as well as his internal musings as the plot develops. 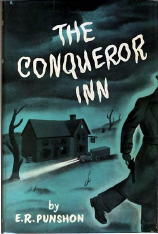 Although it is a fast, light read there are noir underpinnings and the whole is resolved with a satisfactory comeuppance for the egregious villain of the piece. * The Crossword Murder (n.) Knopf 1934; See: Crossword Mystery (Gollancz 1934). 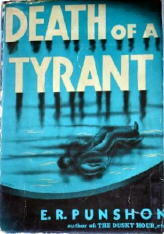 * Death of a Tyrant (n.) Hillman-Curl 1938; See: Dictator�s Way (Gollancz 1938). 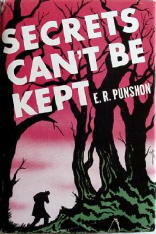 * Death in the Chalkpits (n.) Mystery Novel of the Month 1941; See: The Dusky Hour (Gollancz 1937). * The Bathtub Murder Case (n.) Detective Novel Classics 1942; See: The Bath Mysteries (Gollancz 1936). Mary Reed and Eric Mayer are in the process of compiling an online directory of all freely available etexts of mystery fiction published during the Golden Age of Detection. If you know of any they’ve missed, additions are extremely welcome. The Bittermeads Mystery was simplistic, amateurish and sloppily written, especially the latter chapters which seem to have been written on a pay per word basis. Plot points were conveyed by pure chance, overheard conversations, unlikely letters, and improbable coincidences. The story was a series of cliches loosely joined together and stretched out with pages of bland and unnecessary description. There was no suspense due to the false jeopardy situations in which the outcomes were loudly telegraphed. Who could take this book seriously as a mystery and how was this man able to get 56 books published?